More and more people are discovering that the Sunshine Coast is a great place to visit (we know that it’s an even better place to live). With a Google Street View virtual tour, you’ll attract locals and tourists, even before they arrive. Through the 360 degree virtual tour, they can walk inside your shop 24/7 and they’ll see things that will entice them to visit. Show off your décor, products and ambience to people around the corner, and around the world, so that they can’t wait to come in person. Formerly known as “Google Maps Business View”, a Street View virtual tour is perfect for every type of business on the Coast. Showcase the ambience of your restaurant or salon. Entice shoppers with your products and shop display. Present the professionalism of your practice. You’ve put in a lot of effort to make your business look great. Now you can make sure that it’s appreciated by everyone, everywhere (not just on the Sunshine Coast). And Google Street View looks great on mobile, tablet, laptop or desktop. Just imagine how many more customers you’ll get! Research shows that a virtual tour can double people’s interest in your business. And a Street View tour is an investment that lasts for years. Unlike TV, radio and print ads, with Google Street View, you just pay once, and your virtual tour will be seen by thousands of people for years to come. So it could be the best money you’ll ever spend on marketing your business. DigitalEyes are Google Trusted Photographers. We have been trained and certified by Google, to meet their meticulous quality requirements. We use the latest Google and 360° camera technology to create the tours. And with over 20 years of photography experience, we know how to make you sparkle! We’ll create a virtual tour that will provide a taste of your business, like no other photos can. We’ll then publish your virtual tour to Google, so that it will be seen in Google searches and on Google Maps. You can even embed the 360 degree virtual tour on your website and Facebook page. In fact, when shared to Facebook, our clients have seen fantastic results with rates of engagement and exposure, 10 times higher than they had ever seen. You can read more about it in our post on Facebook 360 Photos. The special types of photos used in virtual tours are known as photo spheres. The number of 360° photo spheres needed for a complete virtual tour of your business will usually be based on the size of your premises, but we can work to your budget to highlight just a few important areas. We also guarantee to beat any competitor’s quote by 10%. Seasonal updates are also a great way to keep your business up-to- date and show your customers what’s new. Enquire about our discounts for virtual tour updates. 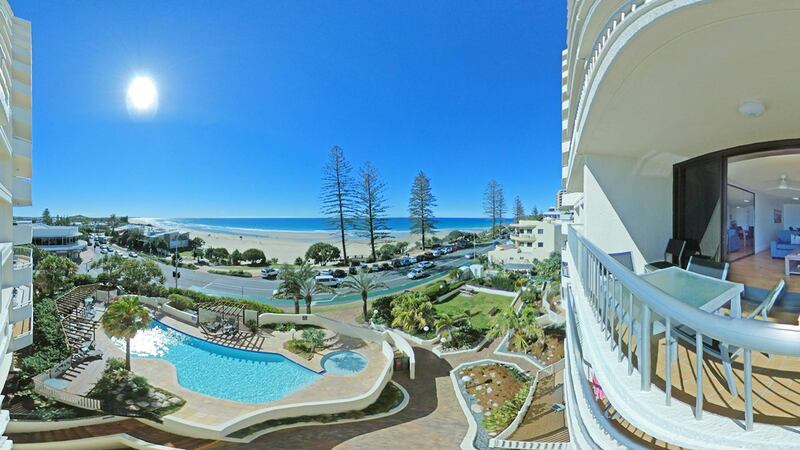 We’re based in Coolum Beach, but service the whole of the Sunshine Coast. If you’re ready to start getting more customers through the door, then email us today to get a free quote with one of our Google Street View Trusted Photographers (our phones are often turned off while we’re making virtual tours).